Melissa is a professor for Cognitive Psychology at the Goethe University in Frankfurt and head of the Scene Grammar Lab (SGL). 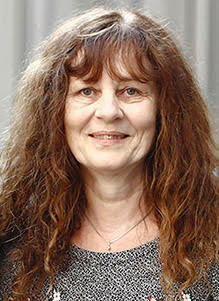 After receiving her Diploma in Psychology from the Free University in Berlin working with Prof. Arthur Jacobs, she went back to Munich, where she received her Ph.D. at the Ludwig-Maximilians University for her studies on the "Allocation of Attention in Scene Perception" (Prof. Werner Schneider). An increased interest in scene perception (and whisky) then brought her to the University of Edinburgh to work with Prof. John Henderson. The past 5 years, she worked on issues of scene guidance during search with Prof. Jeremy Wolfe at Harvard Medical School. Besides her great interest in "Was unsere Welt im Innersten zusammenhält", Melissa likes to get her students excited about Visual Cognition in class. Above all she enjoys perceiving alpine scenes with her husband Daniel. 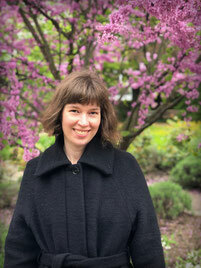 Laura is a postdoc in the SGL. Her research interests focus on the relation between language and action with respect to the syntactic mechanisms involved. 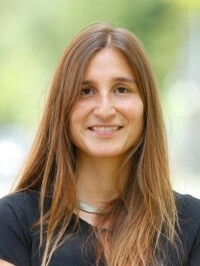 She investigated the neurophysiological basis of the processing of complex action sequences during action observation, first in the adult brain with Luciano Fadiga and Alessandro D’Ausilio, and later on in the infant brain with Moritz M. Daum. Specific interest lies on how similar phenomena might, or might not, relate to the processing of complex sentences in language. EEG, eye tracking and TMS measurements are the basic methodologies of her research. 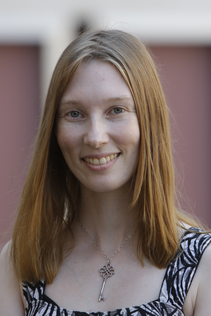 Together with Melissa and the SGL lab she will further explore the „scene grammar“ as far as syntax is concerned. Laura enjoys hiking, cooking, and – as one of the characteristics of the dolce vita style – drinking good wine. Tim completed his Bachelor's course at Darmstadt University of Technology, where he worked with Karl Kalveram in the field of sensory-motor control. He then did his Master's program at Goethe-University Frankfurt and got particularly interested in object and scene perception. 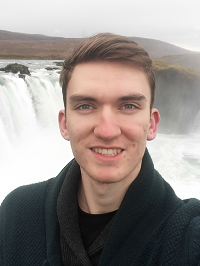 Initially, Tim joined the SGL as a research intern but then also worked as a research assistant and tutor, and finally completed his Master's thesis in the SGL. 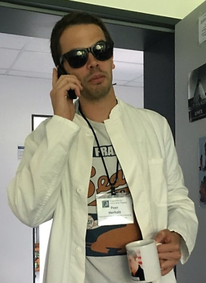 And he just couldn't get enough: He joined the SGL as a PhD student afterwards and is now up to new adventures in the field of visual perception. Specifically, Tim further pursues his interest in the neurophysiological basis of interactive object-scene processing. 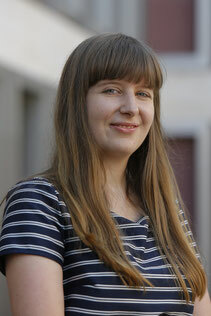 The field of vision sparked an interest in Julia early on and she gained first insights when she investigated inter-item distortions in visual working memory in Christoph Bledowski’s working group. 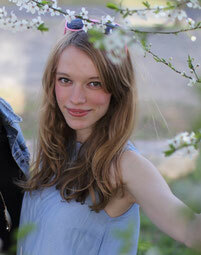 Julia’s passion for cognitive neuroscience was ignited and thus, she started the Research Master at the University of Amsterdam with focus on Brain & Cognition and Methods. There she did an internship in Heleen Slagter’s lab, replicating an EEG study on emotion-induced blindness. In her master thesis, Julia performed an fMRI simulation study improving fMRI analysis of response inhibition with Hilde Huizenga and Lourens Waldorp. Now in her PhD, Julia finally found her way back to visual perception. She will investigate if well-known eye-movement findings from the typical laboratory setup will also hold true in a more realistic, virtual reality environment. Jacopo is currently a PhD student at SGL. 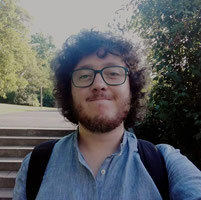 After a bachelor's degree in psychology at University of Milano-Bicocca, he joined the master program of the Center for Mind/Brain Sciences of the University of Trento, where he worked on lexical-semantic processing in MEG with Olivier Collignon and Roberto Bottini. His interest for visual perception started with an internship with Radoslaw Cichy and Daniel Kaiser at FU Berlin, where he contributed to an EEG study investigating perception of visual scene fragments. He's interested in the interplay between visual perception and memory, object recognition and semantics. Aylin is currently a psychology Master student. She got a taste of cognitive psychology from the lecture and from her internship in the SGL during her first Bachelor semester. She had a lot of fun supervising students in this years EXPRA and right now she is really interested in the topic of Deep Learning and is looking forward to upcoming projects in this direction. Currently, Saliha is studying psychology as an undergraduate student. 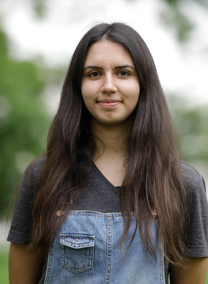 She got interested in cognitive psychology during her first two semesters and soon joined the lab as an intern. After getting a glimpse of scientific research, she got stuck in the lab as a research assistant and is now working towards a better understanding of visual long term memory. Jason is currently an undergraduate psychology student. Lectures and seminars got him curious about cognition, and after his internship in the lab he is now a research assistant. He is especially interested in how immersive virtual environments can be used to study attentional and memory processes. 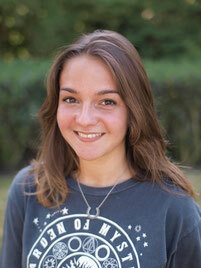 Leila is currently studying psychology as a Bachelor student. After the lecture got her interested in cognitive psychology, she was happy to join the lab as a research assistant during her second semester. In her EXPRA, she was able to have a look into visual perception processes. For the future she is looking forward to do research on language processing and also gain a better understanding of how we distribute attention in our everyday lives. Melvin is a computer science Bachelor student who joined the lab because of his interest in the computational approach to scene perception. He is also very interested in Neural Networks and is looking forward to future projects. 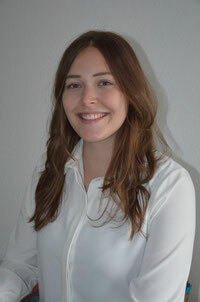 Lotte studies psychology as a bachelor student. She first came into contact with the SGL during her EXPRA in the second semester when investigating learning behavior in Virtual Reality. There, she became interested in human cognition and its uniqueness. She then did an internship in the Lab and is now a research assistant. Caroline completed her bachelor's degree in Psychology at the Goethe-University Frankfurt in 2017. During these years Caroline started as an intern at the SGL, deepened her knowledge due to several seminars in cognitive psychology and concluded with writing her bachelor thesis about the influence of sounds on visual search and memory performance in the lab. For the summer Caroline joined the Visual Attention Lab (BWH & Harvard Medical School), where she worked with Iris Wiegand and Jeremy Wolfe on Hybrid Foraging Search in Aging. 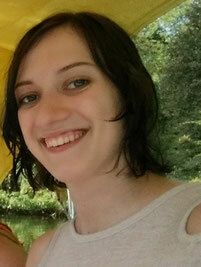 This year she is conducting her research module and is a tutor of the EXPRA in cognitive psychology. Lisa is currently a psychology Bachelor student. She started as an intern in the Lab after her EXPRA experience in the second semester. With her internship-research on the effect of environmental cues on search behavior, she presented the findings at ECEM 2017 in Wuppertal. She is currently supervising students in this year's EXPRA and is writing her Bachelor’s Thesis on „searching for meaning”, a study that investigates how task plays a role in language acquisition using virtual environments. Before Antonia took over the job at the Scene Grammar Lab, she had completed a three-year job training as administrative assistant in public service at the Goethe university. She knows the internal processes in academia and supports us with her administrative knowledge. With her head, heart and hand the psychologic-technical Assistant supports the scientists in their studies and workflows at the Scene Grammar Lab. After his time with Michael Zehetleitner at the LMU Munich and his work in the area of telerobotics (with Bernhard Weber, DLR), Dejan slowly drifted off into the realm of scene processing. Together with Melissa and Jeremy Wolfe (BWH & Harvard Medical School) he investigated the interaction of visual search and scene semantics. 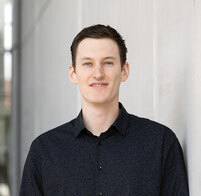 He finished his Master's program in Neuro-cognitive Psychology (LMU Munich), with a thesis at Ben Tatler's Active Vision Lab, investigating how task relevance modulates semantic interference in a real world setting. Dejan´s work focuses on the way memory representations are formed, modulated and used in a predictive/preparatory fashion when guiding perception and attention in naturalistic behavior. He is also fascinated by the interactive nature of scene and object processing and its neural mechanisms. Dejan is currently a Postdoctoral researcher in the Brain & Congition Lab @ Oxford, working with Kia Nobre. 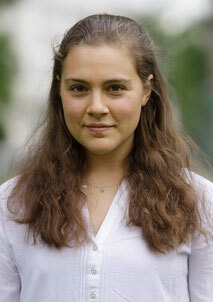 Sage is a student in the Interdisciplinary Neuroscience Masters program at Goethe Universität. Previously she completed her Bachelors at University of Delaware where she worked with Dr. James Hoffman and Dr. Steven Most in unraveling the neural correlates of Emotion Induced Blindness using EEG. Subsequently, she spent two years working full time in Dr. Jeremy Wolfe’s Visual Attention Lab at Brigham and Women’s Hospital and Harvard Medical School as a research assistant. During her time there she researched hybrid search, which is the combination of visual search and memory search. In the SGL she continued her work in understanding the properties of visual attention. 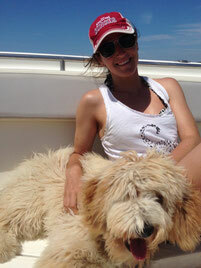 Currently, she is a graduate student in the Brain & Cognition Lab, supervised by Kia Nobre. 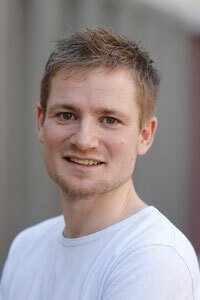 Jona is currently working as a Postdoc in the research group of Christian Fiebach. You can find out more about him and his experience with neuroimaging data here. Gioia is the newest member and favourite visitor of the Scene Grammar Lab. Having initially joined the lab, she is already pursuing science by attending symposia and a conference in Rome so far! We are looking forward hearing a lot more from her in the future! Tim received his masters degree from Utrecht University (The Netherlands). In Utrecht and during a short stay in Lund (Sweden) Tim has worked with Ignace Hooge and Kenneth Holmqvist (Lund Humanities Laboratory), studying the influence of social factors on visual search and eye movements. His interests in visual attention and eye tracking eventually lead him to scene- and object perception. His research in the lab focused mainly on the time course of scene- and object recognition, with a special interest in the processing of information from outside central vision. Tim gained insights into these things by bringing together eye tracking and EEG. He now solves similarly difficult problems for Apple. 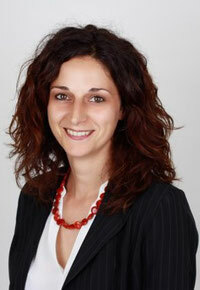 Verena was a postdoc in the SGL. Her interest in scene perception was sparked when studying Cognitive Science at the University of Osnabrück, Germany. There she completed her undergraduate thesis investigating the influence of color contrast on human overt attention under the supervision of Prof. Peter König. For her Masters in Psychology, she joined Prof. Jim Tanaka’s lab at the University of Victoria, Canada. She worked as a research assistant in the EEG lab exploring face and object perception, and for her thesis, focused on spatial frequency tuning in human face identification. 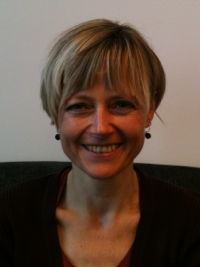 Her interest in combining psychophysical methods and (intracranial) EEG to study various aspects of visual perception then led her to the labs of Prof. Frédéric Gosselin and Prof. Franco Lepore at the Université de Montréal for her PhD, and eventually back to Germany to the Goethe University in Frankfurt. In the SGL, she investigated the influence of scene context on object recognition, and individual differences in scene perception. 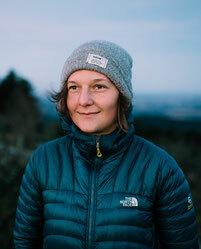 Outside the lab, Verena enjoys yoga, hiking, and exploring scenes where mountains and forests meet the ocean. Fascinated by the brain’s capacity to adapt to the requirements of an ever-changing environment, Sabine has visited different labs that address this question in either children or grown-ups. 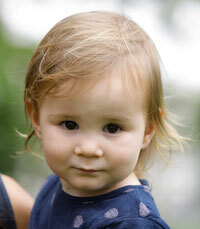 Joining the research group of Claudia Friedrich, Sabine got familar with EEG research in children’s language development. 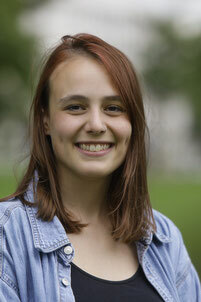 As research intern in the Brain and Learning Lab of Daphné Bavelier, she gained new insights into how action video game play might influence learning and plasticity in adults. This idea also inspired her Master’s Thesis Project with Brigitte Roeder at the University of Hamburg, in which she investigated the electrophyssiological effects of tactile working memory training on plasticity in blind individuals. 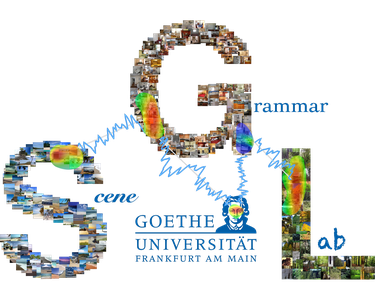 During her PhD Sabine looked further into this learning perspective to investigate the development of Scene Grammar! Bettina kept the lab running at high speed both functionally and socially! Besides the daily administrative work support she liked to feed the team: mentally with useful information and also physically with homemade bakery! After first being an intern and later a research assistant in the SGL for almost two years, Julia recently finished her bachelor’s degree in Psychology working with Tim Lauer and Melissa Võ on the influence of coarse global scene properties in object processing. Julia recently started to enroll in the interdisciplinary BSc Engineering Science program at the Technical University of Munich. She wants to gain a fundamental knowledge of engineering, mathematics and the natural sciences to be able to combine experimental neuroscience with a profound training in engineering to possibly work in human-machine interface or neuro-engineering in the future. 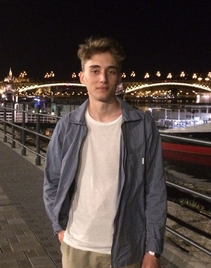 Maximilian completed his bachelor's degree in Psychology at the Goethe-University in Frankfurt where he worked with Dejan Draschkow and Melissa Võ in unraveling the effect of visual search and scene grammar violation on memory performance using virtual reality. 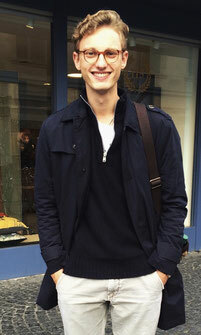 During his time in Frankfurt he worked as a research assistant in Professor Võ's Scene Grammar Lab. 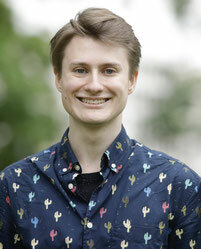 Currently, Maximilian is a student in the MSc Cognitive Neuroscience programme at UCL. In the Blakemore Lab he hopes to gain more knowledge about identity development during childhood and adolescence. Under the supervision of Professor Sarah-Jayne Blakemore and Dr. Lucy Foulkes his research project will focus on perspective taking in relationship with the sense of self in adolescent development. Daniela finished her Bachelor's degree in Psychology at the Goethe University Frankfurt in summer '17 and was a member of SGL from almost the very beginning. She started off as an intern and then stuck with the lab as a research assistant. 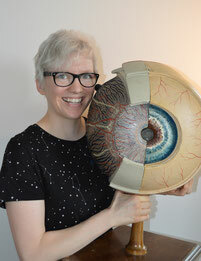 During her time at the SGL she helped creating the SCEGRAM Database and was involved in several EEG and Eye Tracking projects which deepened her interest into research. Before she started the Neuro-Cognitive Psychology masters program in Munich, Daniela did various internships in different job areas concerning cognitive neuroscience. While Marvin was studying for his Bachelor degree in psychology he was also interested in cognitive science, so he decided to join the SGL as an intern to learn more about the subject. Especially the work on object-levels in a scene caught his attention and made him stay in the lab as a research assistant. 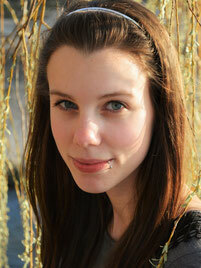 Margit is currently completing her Bachelor’s in psychology. After developing an interest in cognitive psychology in the lecture and further exploring it in an internship at SGL, she joined the lab as a research assistant. Right now she is on the search for an area of interest to specialize in and working towards gaining more knowledge and skills.